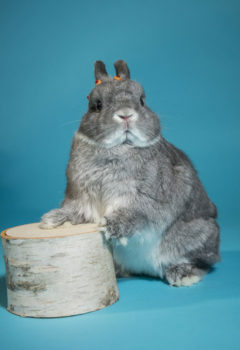 Cooper the Pooper is on a worldwide mission to help bring awareness to rabbit welfare. Adopted in 2010 from an unwanted situation, he is now living the life in Disney’s backyard. His goal is to help educate as many rabbit parent’s as possible and showing them how rewarding it is sharing your life with one. You can always follow his antics and check out his hat collection by checking out his Instagram account.